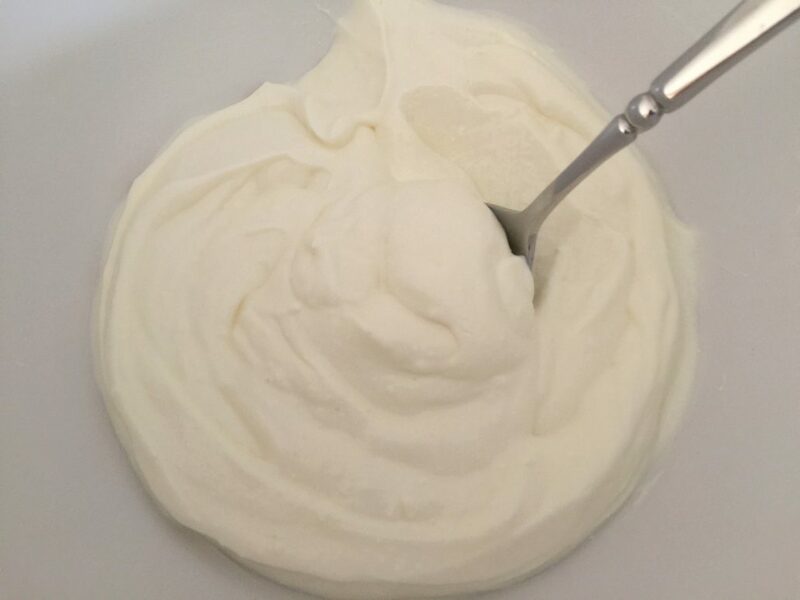 Homemade Quark Recipe – so easy to make! 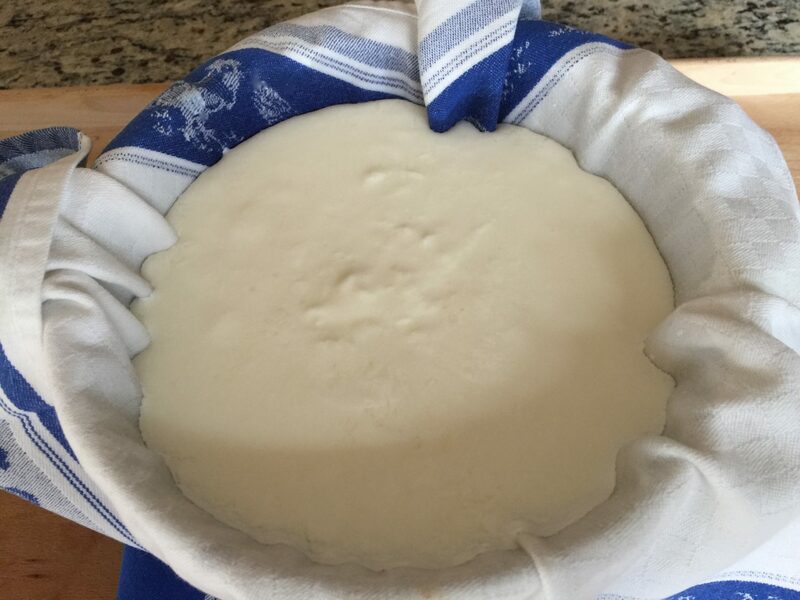 There are different ways of preparing Homemade Quark. I tried several variations using different ingredients, but below is the recipe I like best. Quark has a great flavor and consistency. This Homemade Quark Recipe is prepared with milk and buttermilk. It makes about 400g – 450g (14.1oz – 15.87oz) of quark. 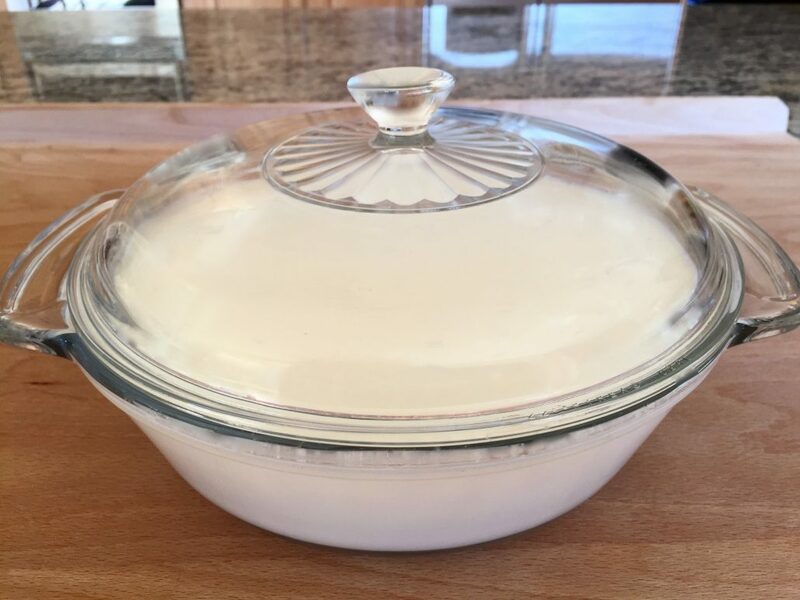 Use a Pyrex dish with a glass lid. Pour in the whole milk and mix in the buttermilk. Cover with the lid and let it stand for about two days at room temperature. Preheat the oven to 35°C – 100°F. Take the lid off the glass dish and place the mixture on the lowest rack of your oven for about two hours. Take it out of the oven. 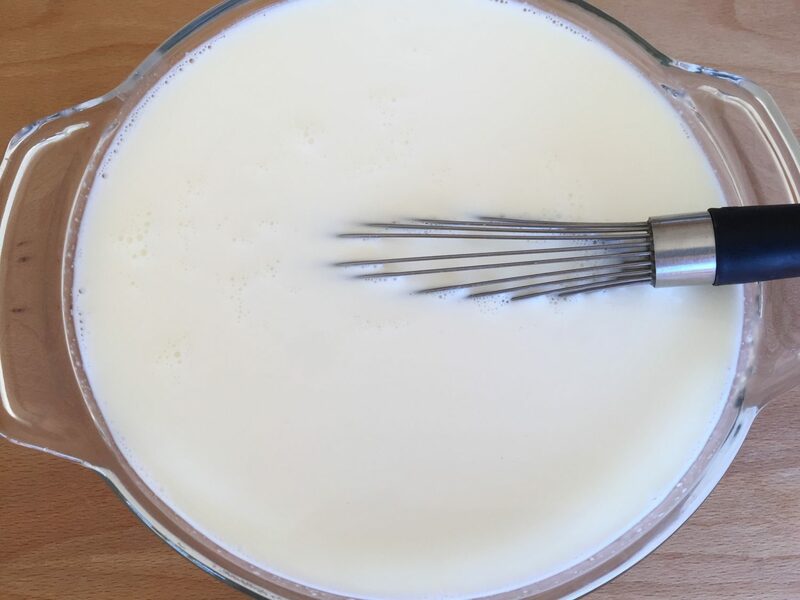 Place a sieve on a bowl large enough for the milk mixture. Line the sieve with a cheesecloth or a kitchen towel (which I prefer) and pour the milk mixture into the sieve (see picture). 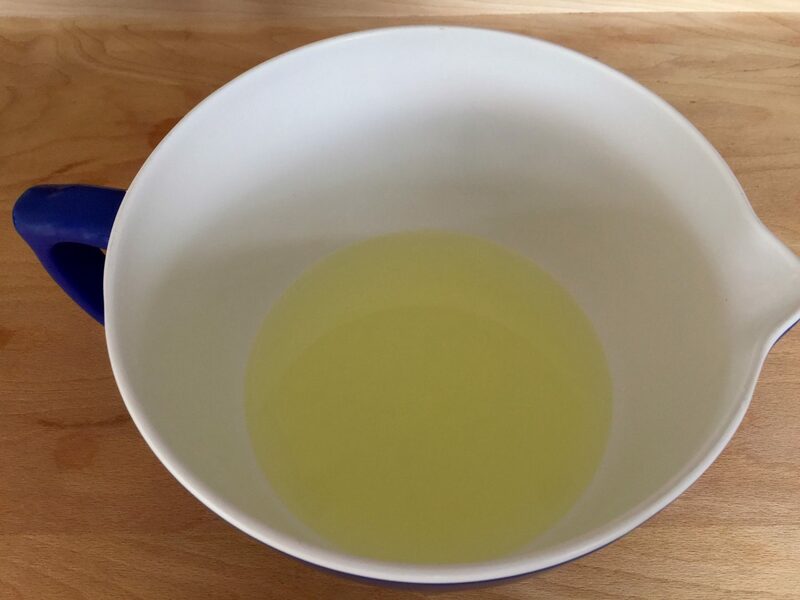 If your oven temperature does not go as low as 35°C – 100°F, place the glass dish with the milk mixture for about two hours in warm water. Use a thermometer to check the temperature. When the water cools down, fill it up with more warm water until the water has reached the recommended temperature again. Sieve the mixture as described above. 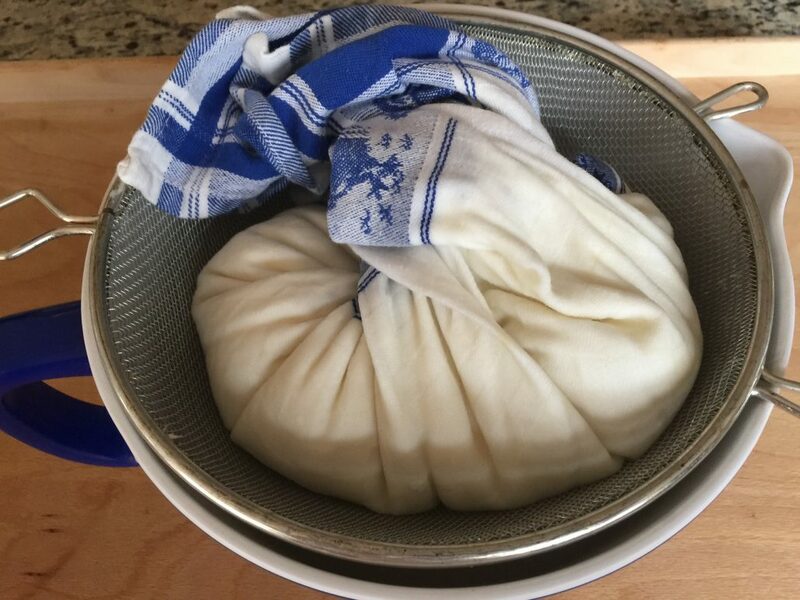 Lift the corners of the cheesecloth or kitchen towel and twist them until you have kind of a sack. Make sure not to press too hard because the quark will come through. Let the quark drain for about two hours. If the quark is too dry, add some of the whey back into it. If it is too wet, let it drain a little longer. You can also add some whipping cream to the finished quark. Your quark is ready to be chilled in the refrigerator. You can serve the quark in the morning for breakfast. Spread it on your toast and top with your favorite marmalade or jam or add some fruits to it. Add chives and salt to serve it with boiled potatoes. Quark is also great to use it in cheesecakes or Oma’s Vanilla Cheese Pudding dessert. https://www.theomaway.com/wp-content/uploads/2016/10/IMG_7971.jpg 630 1500 Oma https://www.theomaway.com/wp-content/uploads/2017/02/Oma-Logo-Authentic-German-Recipes.png Oma2016-10-29 15:43:072017-05-02 06:29:08Homemade Quark Recipe - so easy to make!